Better Times Ahead For Data And Tech Companies Serving The Origination Market - Berkery, Noyes & Co., LLC. Overall macroeconomic factors are indicating a gradual improvement in the U.S. housing market. For instance, real estate prices are beginning to rise and vacant inventory levels have reached their lowest point during the last eight years. The Federal Reserve’s latest round of quantitative easing (QE3), with the planned purchase of $40 billion worth of mortgage backed securities per month through 2015, continues to drive down mortgage rates. Many industry experts believe there is now enough empirical evidence to suggest a more sustainable recovery in the housing and mortgage originations market. Additionally, Berkery Noyes has tracked a number of mortgage technology related merger and acquisition (“M&A”) deals, which suggests acquirers and investors are beginning to see a more long-term recovery in the housing and mortgage originations markets. With rising home equity, lower excess vacant homes, and more flexible FHA qualifications for homeowners with limited equity to refinance their older Fannie Mae and Freddie Mac loans – the mortgage originations sector is experiencing the beginning of an upward cycle in terms of both volume and dollars. In a positive development in the Financial Technology and Information Industry, M&A volume within the Banking segment as tracked by Berkery Noyes has increased 50-percent on a quarterly basis. There have been several recent transactions within the mortgage originations sector. Most notably, Ocwen Financial Corporation agreed to acquire Homeward Residential Holdings from WL Ross & Co, a private equity firm, for $750 million. Homeward Residential Holdings has both mortgage servicing and origination operations, and the transaction indicates its origination business in particular is an anticipated growth area, which will also drive additional business to Ocwen’s servicing divisions. Ocwen has been highly active acquiring mortgage servicing providers over the last several years, and this most recent transaction represents Ocwen’s first foray into home lending. Moreover, the changing regulatory framework in the United States also has the potential to influence M&A activity. Title XIV of the Dodd-Frank Act is specifically targeted to mortgage originators. Among several provisions, it authorizes the Consumer Financial Protection Bureau (“CFPB”) to more stringently enforce the Truth in Lending Act (“TILA”). With these regulations, lenders are faced with meeting extra minimum standards before issuing residential mortgage loans, including those that are deemed to be high cost. They are likewise tasked with making a “reasonable and good faith determination” that the borrower has the ability to repay the loan prior to issuance. This could play a role in originators seeking more integrated end-to-end offerings from technology vendors in order to help ensure compliance. Companies that serve the origination sector are well positioned to benefit from the rebounding real estate market. Likewise, there has been ongoing organic innovation and acquisitions by loan origination software (“LOS”) businesses, in order to provide a more bundled solution that includes: product and pricing engines, CRM / automated marketing solutions, compliance tools, and eDocument collaboration capabilities. At the same time, mortgage originators are looking for tools to shorten processing times, better manage sales leads, and bolster customer retention rates when dealing with repeat homeowners. With a strong correlation between real estate valuations and consumer confidence, we believe several consecutive quarters of rising homes prices will not only help to increase consumer confidence – but may also facilitate growth in the secondary market, including vendors that serve that sector of the mortgage market. 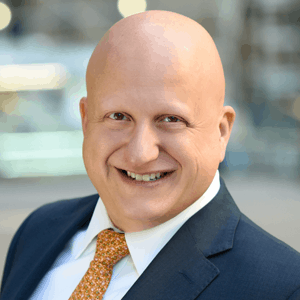 John Guzzo is a managing director in the Financial Technology Group at New York based Berkery Noyes, an independent investment bank specializing in mergers and acquisitions for a wide range of companies throughout the information and technology industries. He has worked on more than 80 merger and acquisition (M&A) transactions during his career, representing more than $3 billion in value. Berkery Noyes has recently advised and closed its 3rd mortgage technology M&A deal during the summer of 2012.